In the Romanian city of Drobeta Turnu Severin (only one city, believe me!) I have one of the most interesting experiences of my activity as a travel guide, and now I wanna to share with you. I hope you will enjoy, understand, finding also interesting. Namely, I reached the wonderful city of Drobeta in the afternoon, guiding an active biking Romania tour from Launer Reisen. It was a wonderful weather, middle August. The city itself nice, clean, interesting and inviting. We arrived in Hotel Continental Portile de Fier, checked in and took our rooms, and had the dinner at 7 hours p.m. Was O.K., no objection, we also said good bye, as the German customers were supposed to go further in Serbia and I was supposed to go back to Bucharest, taking over another group. It was an excellent trip, that I enjoyed a lot, and I hope the tourists also. After the dinner, I made an unexpected proposition: let's go walking through the city and discover it at night! Just two persons showed to be interested: Dr. Renate and Norbert Lauppenheimer. We walked through the city and discovered first a spectacular kinetic fountain. 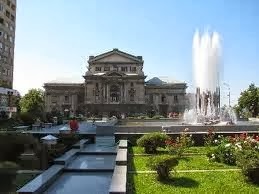 It is really one of the most interesting fountains in the all Romania, a masterpiece of a local scuptor. Besides, the market place around is nice, has a nice park and a monumental building (a museum in restoration). It was very peaceful in that marketplace, I noticed that was the locals' favorite meeting point. It was still day light, but the night came upon the city of Drobeta. An old city indeed, very important for the Romanian history. The name itself sends immediately to the Roman Empire! Short and concrete, the Romans build here a bridge, engineered by Apolodor from Damascus, one of the most notorious architects of the old times. On that bridge came the Roman legions, invaded and conquered Dacia. Thus has been build the Romanian people and language, the Romans and Dacians are our ancestors. As a proud Romanian I am, I invited my companion to show them one of the foot of that bridge. Meanwhile, the night falled and we walked and walked along a nice streets with big houses (traditionally a residential area of Drobeta Turnu Severin). Finally we found the foot, in the yard of the History Museum, which was in reparation and locked. It was a very unpleasant situation for me, and I didn't know what to do, as I ought to show that foot to my tourists. I knocked strongly, waking up all the local vagabond dogs, but also the Museum guard. And that guard allowed us to enter the yard and watch the ruins of the bridge. My honor was saved, thank God. 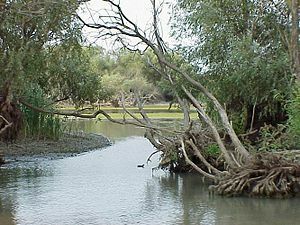 Further was not so easy, we discovered the foot on the Danube shore, after a little fight with a pack of barking dogs, crossing the railway and climbing a hill. Everything in dark, at night, don't forget! I really think it was a fantastic experience, showing that in Romania everything is possible! Nevertheless Europe is stormed by Asian tourists, Romania is still out of the beaten path. We can receive much more tourists from Asia as we do know, they are highly welcomed. 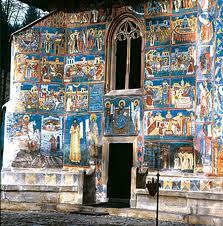 I think Romania is a fantastic destination for any tourists, whether coming from Asia, Europe or another continent. We have everything, starting with urban life, to unspoiled nature and pristine beaches. Plus, we have a spiritual life, which Asian tourists can understand better than anyone else. 90 % of the Romanian population is deeply religious (Christian orthodox) and attends regularly the church, totally different from the Western world. This simple fact makes Romania so different, and was really helpful in the history of Romanians, who peacefully withstanded much more powerful surrounding empires (Austrian, Habsburgic, Russian, Turkish etc). They all are gone, Romania and the Romanians are still here, with a pregnant identity. We are very proud of it! Many Romanians, due to their deep spirituality, felt attracted to Yoga, Zen, Chinese philosophy and Asian way of life. It may seem totally different, but it is only a different side of a special process, triggered by the basic questions of a human being. This dialogue of culture is the most important thing in the travel branch. It is not at all a clash, we respect and understand each other. Very soon I am going to have the opportunity to be the travel guide of an Asian tourists coming from Taiwan. It is a deep honor and a big pleasure, also a professional challenge. I will strive to present Romania in a realistic way, with good things and bad things. 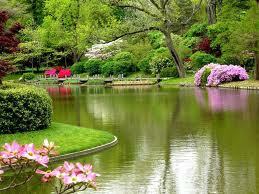 Maybe Romania is not the Paradise on Earth I dream, but is for sure nice place to see! This group of tourists come to Romania in a bigger European Balkanic Tour, organized by the company Albania Experience, and Mr Julian Trushi. It is going to be a fabulous tour, I am sure about it, and will keep you informed about that! Second and third, the bus and the guide (about the guide ask me first of all, I am doing this job since 20 years with huge success). The bus is easy to find, but take care of your costs and the level of performances you need ( e.g. in the mid summer when the temperatures reaches 40 degrees Celsius you need a bus with an efficient cooling system!). Speak to the bus company and to your guide (may be that is me) about your wishes, budget, time and allow them to give you good advices. Never forget that Romanians are proud to salute you there and are very happy to help you with every little matter. A good recommended solution is taking contact with a good incoming company. I personally recommend Karpaten as the best incoming company. A few of the best specialists will be happy to find a solution to your wishes and needs, combining different means of transportation and turning your trip in a real event. Another solution is to organize your trip in Romania as an extension to a trip in another European country. There are line or special buses from the neighboring country or from Austria, Germany etc. When thinking to Austria and its many very serious and reliable bus companies, RATZENBOECK REISEN comes first in my mind, as I have worked with this small, but excellent manged company. Their program is outstanding, including an interesting circuit from Satu Mare to Timisoara, over Maramures, Bucovina and its painted churches, Szeklerland, Brasov and Bucharest. And that means totally from Austria/ St Aegidi and back a convincing itinerary of 3000 km! A fantastic trip, I must say, offering you a good piece from Hungary and Austria as a bonus! 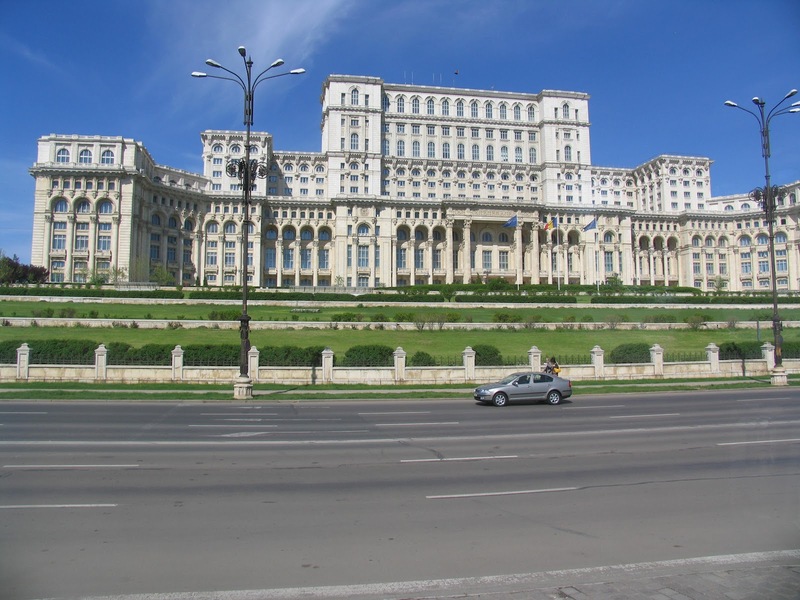 Ceausescu Palace in Bucharest is a must, and RATZENBOECK REISEN offers it! There are so many reasons to make Romania as your favorite travel destinations. I will reveal them all bellow with the necessary details and explanations. First of all, because of the people. Don't try to understand them, they are rather sensitive and emphatic, and no one can understand them. But they are really lovely, well mannered and educated, and make their guests feel like kings. Even the poorest peasant will try to help you, will invite you in his home and to dinner. Is a matter of education, of their Christianity and of national pride. They are always there for you, if necessary, ready to help. 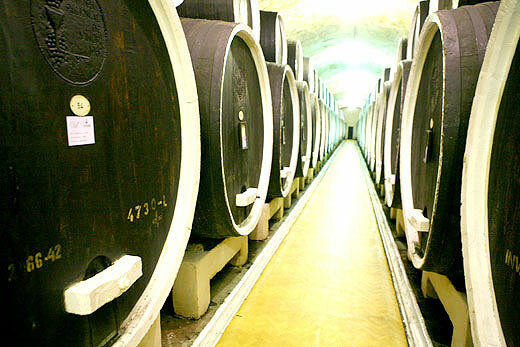 -Wine and food tours. 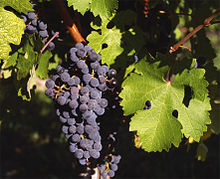 Keep in mind that Romania is a wine country, as a former part of the Roman Empire, and we developed a wine culture, similar with France, Italy and Spain. As you are a wine afficionado, you must have heard about Murfatlar, Niculitel, Cotnari and other leading Romanian vineyards. -For the beach lovers, there are a plenty of pristine beaches on the Romanian Black Sea coast, and the resort Mamaia has a tremendous night life. That resort is totally comparing with Ballerman or Rio. -For the endurance sportsmen, you can climb and walk the mountains, discovering some landscapes of an untouched breathtaking beauty. For the bikers, an excellent offer you can find at Launer Reisen, Germany for more difficulty degrees. -About city breaks, don't miss Bucharest, Sibiu, Iasi, Oradea, Timisoara, Brasov which are really seducing and worth a visit in any season. Even the little towns have in Romania a special fantastic charm. -The culture freaks won't be disappointed at all in Romania. 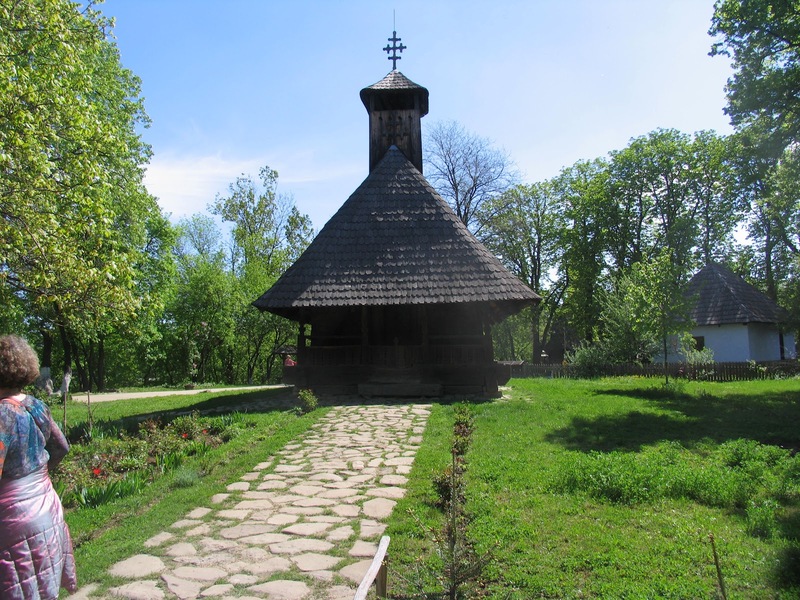 There are interesting museums in every major city, there are the fantastic painted churches of Northern Moldavia or the wood churches from Maramures. 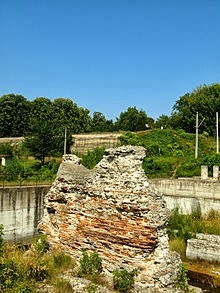 There are antic ruins in Constanta, Histria, Drobeta and so much more. And the last argument: Romania is still cheap. You can eat in some places a good lunch with 3-4 Euros (ask about "Meniul zilei"). And most important of all, Romania is very safe, as the criminals moved out in richer countries, and the police is very active. A few decades ago no one, but absolutely no one, could dream to dare comparing Romania and Hungary. It was such a silly emnity and rancour between these two countries, forced by the Geography and History to stay together, one next to the other. I am sure than we have much more in common than one could think. The personal relations are really excellent, I am honored to have among my friends a few Hungarians, and I even managed to learn a few words. Koeszonem szepek to all normal friendly relaxed Hungarians, which are not necessary the enemmies of Romania. The only problem are the silly crazy politicians, like Jobbik, Gaudi, Vadim Tudor. With a normal relation between Romania and Hungaria they must perish for sure, they won't accept it easy! 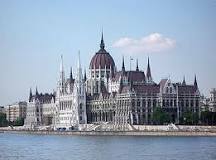 Despite the extremists of the both sides, I must say: I like Hungaria, I love the Hungarians and I am very fond of the Szeklerland! Without forgetting that I am first of all Romanian. There might be extremists on the both sides due to historic facts, myths and legends etc. But don't let the History separate you, allow it only bring you nearer. We have an unique chance, we are both European countries and there is a generous model between France and Germany. Is this Bucharest or Budapest? Be very careful when doing a plane reservation! Besides, Bucharest and Budapest are closer than one might think, similar in some directions and anyone can take one for another. 400 fans of a Spanish football team landed in Budapest, while the match was held in Bucharest. Funny, but true; unbelievable, there are people on both sides who feel insulted by this interesting error. Other, much crazier, guess a conspiracy behind. The people are not so different after all. 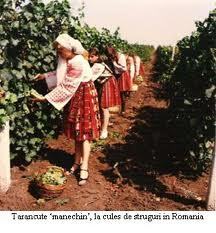 Romanians and Hungarians love wine and enjoy life. They like to sing and dance, they like to have a good meals, but are also hard working. There are many happy mixed marriages, most of the people from Transilvania feel to be simultaneously Romanians and Hungarians, sharing simply similar traditions of a fantastic richness. It is definitely time to stop fighting or hating just because speaking other language. Make love, not war. I have got a warm Jo napot for all the Hungarians I know, or I still don't know, and please help me to learn other words and phrases. During his last years in power, the Jews have been for Ceausescu one of the best export hits, after a long series of economical mistakes. But neither Ceausescu, nor the most of the Romanian people were anti-Semite. 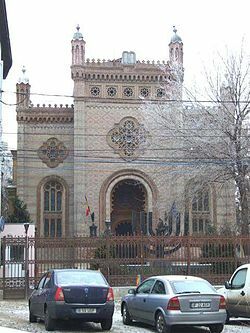 The Romanian are tolerant, and many of the Jews living here enjoyed this hospitality of the Romanian people. In exchange, the Jews contributed a lot to the wealth of some cities, towns and villages in Romania (e.g. 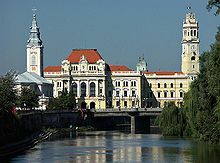 Oradea, Sibiu etc). 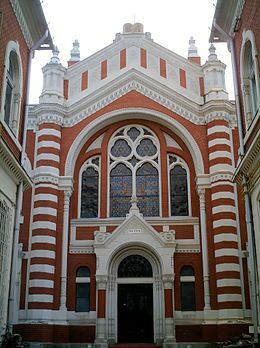 Bucharest has had a huge Jew quarter, which is still to be seen today. 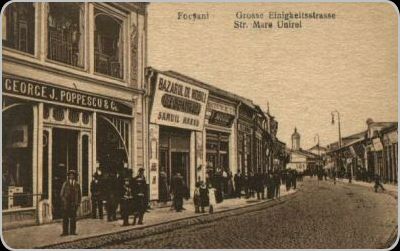 Between the WWI and the WWII almost every single town in Romania had a main street with fancy shops, and most of them were owned by the Jews. It is said, that all the clients entering a Jewish store ought to buy something, even on credit, as the wares have been good and the shopkeeper very skilled in attracting and convincing the clients. The Jews came in Romania from many places of the world. When Bucovina stand under Austrian occupation, many Jews from Galitia were invited here. Other sources: Russia etc. During the WWII and Holocaust the Romanians had a part of guilty about the Holocaust and mass deportations, with the excuses of foreign pressures. But many people neglected the orders, and tried to help the oppressed Jews (e.g. Raoul Sorban from Cluj Napoca). We regret nowadays the lack of the Jews in the Romanian villages and cities, and would like having them back. More than 10 % of Israeli population speak Romanian. These people still love Romania, remembering the nice things of their stay here. Many of them still visit Romania regularly, have friends, connections etc (maybe some of them are becoming investors). 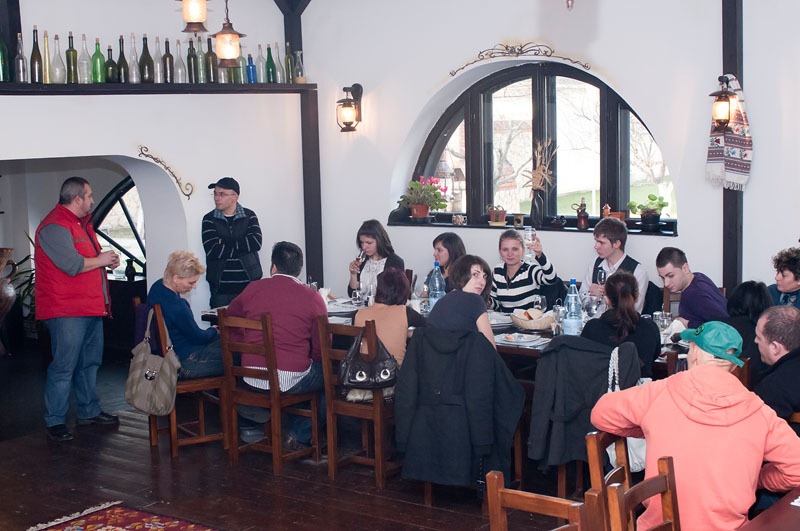 It is very touching speaking to these people, I had this opportunity during a Romanian folcloric show in restaurant Pescarus. The Tour guide left Tulcea when she was two years old, but she is still able to speak Romanian!